Gilbert’s exploration and explanations of magnetism won a broad audience. The educated public was keenly interested in this mysterious natural force, historically akin to magic, but now more comprehensible, thanks to the interest of the Queen’s physician in the natural sciences. Shakespeare and Ben Jonson were contemporaries. Shakespeare adopted the new knowledge symbolically: Troilus pledged to stick with Cressida “As iron to adamant” (loadstone). 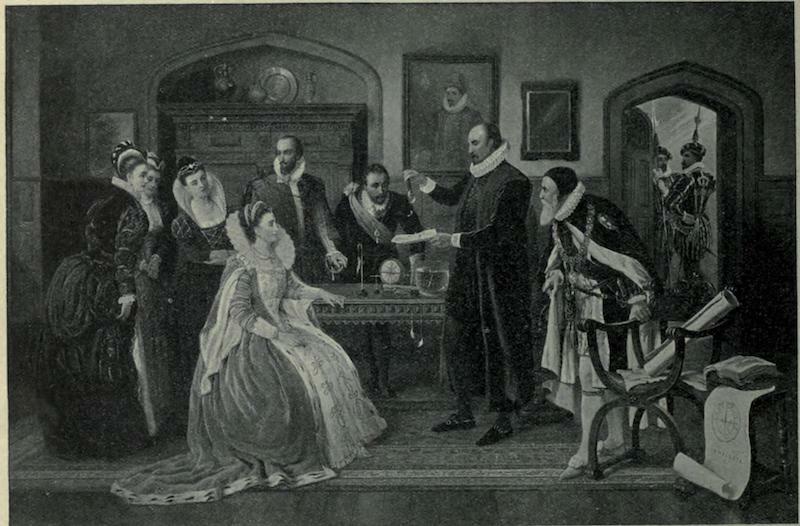 Ben Jonson’s play, The Magnetic Lady, is more directly referential, with characters such as Lady Loadstone and Captain Ironside. Building on existing studies, Gilbert became the first to argue that the center of the earth was iron. He explained that compasses point north, attracted not by the star Polaris, but by the Earth’s magnetic field. He also noted that magnets, when split, retain polarity. He invented the first instrument to measure electricity. As a philosopher of science, he was critical of both Aristotle and Scholasticism. Near the end of his life, he was installed as President of the Royal College of Physicians and became Physician to both Queen Elizabeth I and King James VI. His name is memorialized in the unit of magnetomotive force known as the Gilbert (Gb). Curiously, there seems to be no evidence that Gilbert considered the potential relationship of magnetism and medicine. But, in the fullness of time, it was inevitable that the idea of therapeutic magnetism would catch on. In this case, the fullness of time means that it took 175 years for proponents to arise. Most were totally devoid of any skill or interest in inductive reasoning. Mesmer was not one of those. He was an actual doctor, with a theory, one which arose initially from notions about gravity, and then morphed into magnetism, megalomania and ‘mesmerism’. Franz Mesmer (1734-1815) wrote a doctoral dissertation for his medical degree at the University of Vienna—On the Influence of the Planets on the Human Body. Its thesis was built not upon the pseudoscience of astrology but upon a the legitimate scientific inquiry by Isaac Newton on the motion of tides. Mesmer wondered if the Sun and Moon might not affect the fluids and tissues of the human body in some like manner. Once in practice, he broadened his interest to magnets and claimed to have cured a woman of hysteria by having her swallow an iron preparation and then applying magnets externally. Unfortunately, he took a leap of logic, and perhaps a leap into grandiosity, when he abandoned actual magnets, substituting for them his own inherent ‘animal magnetism’ as the active therapeutic agent. Others possess this property too, he pointed out, going so far as to claim that religious exorcisms were successful because the priests were unwittingly making use of their own healing animal magnetism. 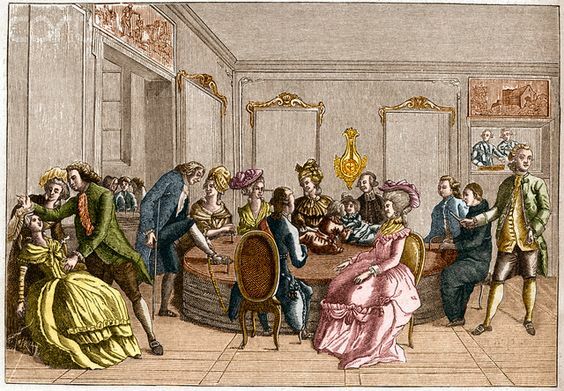 Failing to cure a blind patient with his technique, Mesmer fled Vienna for Paris. There, one disciple, Charles d’Eslon, signed on to his ideas, and eventually extended them. But two Royal institutions (Academy of Science and Society of Medicine) refused to approve his doctrines—notwithstanding his twenty–seven supporting propositions. We can only assume that the academics also looked askance at the hand-holding and glass-harmonica-playing bits of his procedure. However, Mesmer did get his ‘day in court’ as it were—actually twice, forty-two years apart, and with strikingly different outcomes. The first investigation came in 1784. Conducted by a French Royal Commission appointed by Louis XVI, it included such luminaries as Lavoisier and Ben Franklin. To his great credit, Mesmer had proposed a randomized trial, comparing his method to ‘ordinary methods’, with the outcome judged by independent observers. It would have been the first ever case of a randomized trial in medicine, had it been carried out. It was not. Mesmer refused to reveal his methods, allowing only outcomes measurement. The Commission, who didn’t like Mesmer anyway, refused to play that game. They opted to, instead, investigate whether or not there existed some magnet-responsive entity in human physiology. The commissioners allowed Mesmer’s associate, d’Eslon, to expose them to magnets—no effect. Then some of Mesmer’s subjects, chosen for their reported sensitivity to his techniques, were examined. They were exposed to an object said to be a magnet. The subjects claimed beneficial effects whether or not the object was really a magnet. They also failed to register any altered state when surreptitiously exposed to real magnets. The Commission concluded that there was no evidence for a physiologic effect of magnetism. Rather, they said, the results reported by Mesmer were psychosomatic in origin (to use a modern term), or perhaps due to good old chicanery. But scientific societies reflect not only science, but society. Forty–two years later, mesmerism was alive and well, when, in 1826, the French Royal Academy of Medicine launched a reconsideration of the whole thing. Willing to look only at results, they attested that Mesmer’s method produced salutary effects. It could even induce a somnambulistic state during which surgery could be performed painlessly. ‘Professional’ societies thrived, where one could learn the art of Mesmerism in exchange for two things: money and a signature on what we would now call a non-disclosure agreement. In the ensuing decades, ‘mesmerism’ engendered hypnotism, spiritualism, psychoanalysis and even political paranoia. For this chapter in the story, I refer you to ‘Under the Influence’: Mesmerism in England, by Roy Porter. Or for a peek into the unbridled enthusiasm given to medicine and magnetism well after Mesmer had come and gone, see Vital Magnetic Cure (1881) by ‘A Magnetic Physician’, or VRIL, or Vital Magnetism 1911. Much credence was given to relationships between a body’s magnetic fluid, artificial somnambulism and psychic will. Animal magnetism even appealed to philosophers (Hegel, Schopenauer etc), and was adopted by hospitals and universities. For those looking for contemporary papers like “Animal Magnetism, A Practical Scientific Approach” or books like “Mageto Therapy: The Miraculous Healing Strategy”, they’ll have no trouble finding them. But only those of a certain ‘mettle’ would be ‘attracted’ to them. The use of magnetism in magnetic resonance imaging (MRI) or as a tool to manipulate cardiac pacemakers are not examples of magnetism used to affect tissues per se. But Transcranial Magnetic Stimulation (TMS) does just that. The successes of TMS do not imply that Mesmer really had something with his animal magnetism, nor did any of the ‘magnetizers’ that followed. Those techniques, plausible or not, were quite different in scope, strength and precision. I’m sure the ‘magnet charlatans’ of today will point to TMS and say, “see, ours works too–a magnet is a magnet”. That aside, it is worth noting that one can get TMS treatment at such academic centers as the Mayo Clinic and Johns Hopkins. It is even covered by insurance in many cases. In TMS a pulsed magnet induces an electric current which changes the charge across cell membranes, causing neurons to fire. The resulting effects have been shown statistically to have a beneficial effect in a proportion of treated patients. It was approved by the US FDA in 2008 for treatment of depression and in 2013 for treatment of migraine headaches. The long journey from Gilbert’s DeMagnete in 1600 to twenty-first century biophysics attests to the virtue of ‘stick-to-itiveness’ in the pursuit of medical science. Leave a comment or email us at info@medicalhistorytour.com. Visit medicalhistorytour.com. You can check out Mesmerism, DeMagnete and other medical history books via our Amazon link. VRIL, or Vital Magnetism. 1911. Magnetism and mesmerism in the history of European thought: Notablepersonalities who showed interest in magnetism. The Science of Shakespeare: A New Look at the Playwright's Universe. 'Under The Influence': Mesmerism in England. History Today. Mesmer’s 1780 proposal for a controlled trial to test his method of treatment using ‘animal magnetism’.Journal of the Royal Society of Medicine. Celebrating the Book That Ushered In the Age of Science. Magnetism and Medicine. Journal of Applied Physics. Older PostMedical History. Heritage or Sociology?